After having to jump through hoops to get my credit card limit increased, I began looking at other cards on the market. Here we will have a look at Credit card rates and rewards programmes. I’m glad I did this because it taught me a couple of things. The first being that there is always a better deal. For most Gold cards you will need to make at least R8,000 a month, but there are exceptions, these being Absa, Virgin and Discovery. For an Absa card, you’ll only need to earn R4,000. And a Virgin card, you’ll need R5,000. And a Discovery card has no minimum limit. With Absa, you also don’t have to pay interest until day 57 days, but with the others, it’s 55 days. None of the cards will charge you for purchases, and online transactions cost almost nothing. Plus ATM and service costs are almost the same across cards. And the amount of interest you pay changes according to your credit score. If you just want a credit card, then the simplest one is Virgin Money. Virgin money gives you the best rate on credit balances, and you may pay less in fees if you add in other products as a current account when you sign up. Many banks today try to market themselves on the power of their rewards programs. And if you’re making your decision based on a reward program then watch out. Absa will give you 1% back in cash on debit and credit card purchases, 5% on fuel purchased at Sasol stations plus you also get 10% when purchasing from their selected partners. Nedbank’s Greenbacks program gives you 1 Greenbacks every time you spend R5. Greenbacks can be devoted to special offers or put into an investment account. 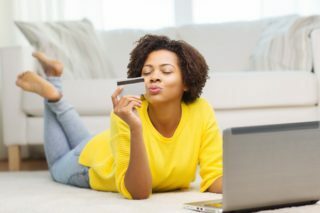 FNB’s ever popular eBucks program gives you 3% back whenever you swipe your card, a massive 15% of fuel purchases, prepaid electricity and airtime from FNB, and almost 15% at Checkers and Shoprite grocery stores. The percentage you get back is accordance with how you use your bank account, and you’ll need an FNB current account to join eBucks. Standard banks UCountgives you 10% back in points (Ten reward points equal R1) on groceries, 5% back if you shop with special partners like Clicks and Macro, and 1.5% if you shop with other retailers. Vitality members are entitled to discounts at certain partners. This list includes Pick and Pay, Woolworths, Builders Warehouse, Cape Union Mart and Exclusive Books. Discounts can reach as high as 25%, but your account status determines this. You can also join the Discover Miles program, which gives you one Discovery Mile for every R12 you spend. The Virgin Money VIP rewards program is simple: You get instant savings of up to 10% Just by shopping at their selected partners.